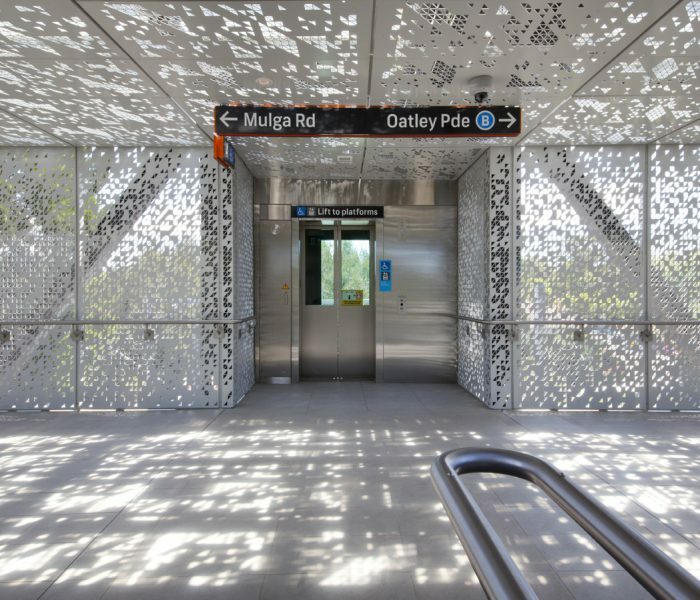 Perforated metal walkway panels made by Arrow Metal for the new $348m Gosford Hospital are just the remedy for busy staff. 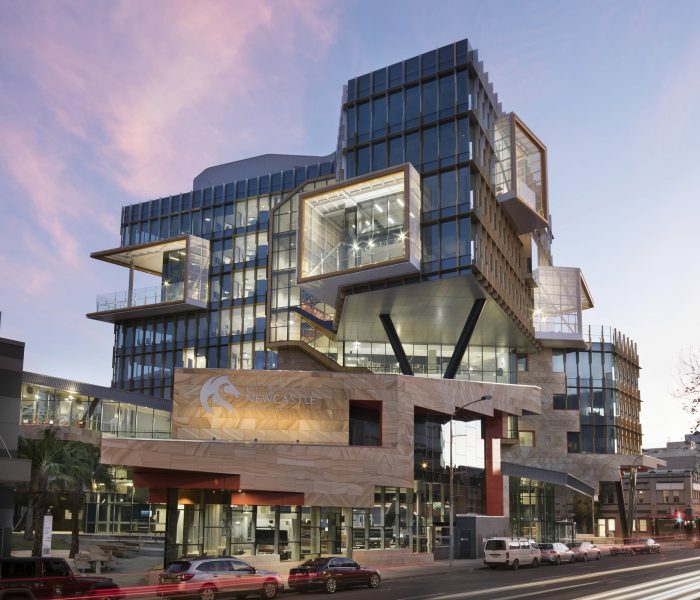 The new perforated metal walkway panels act as a safety and privacy barrier for staff accessing the 11-storey hospital’s pathology unit and kitchen. The state-of-the-art Central Coast hospital offers next-generation healthcare, with a focus on patient privacy and comfort. Arrow Metal supplied the custom-made panels to the project’s steel fabrication company, Engineering Fabricators Newcastle (EFN). EFN originally contacted Arrow Metal with a view to purchasing stock perforated metal for the hospital walkway, but after consulting Arrow Metal’s expert team, the project evolved into a custom solution requiring bespoke sizes, folding and finishing. Arrow Metal delivered over 100 perforated aluminium panels to EFN within just two months to exact specifications, using original drawing plans to ensure a perfect fit on site. 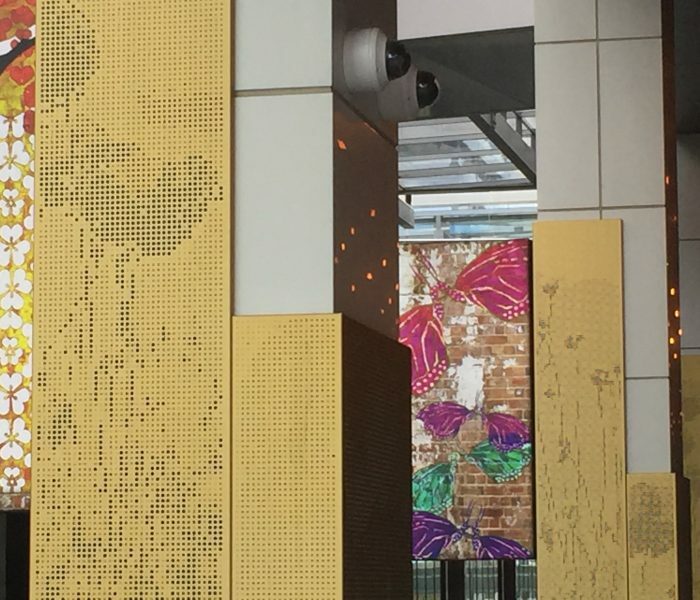 Each 3mm panel was perforated in pattern 244, a cost-effective profile that offers strength, style and durability. With a 51% open area, the screens provide good air flow and visibility, ideal for use as walkway panels. The finished hospital walkway is also set to be in good health for years to come, thanks to the powder coating applied to each panel. The finish was specified to protect the walkway against erosion due to the hospital’s location near the coast and includes the appropriate guarantee. Gosford Hospital’s redevelopment includes a range of upgraded facilities including a new, larger emergency department, intensive care unit, expanded maternity services and operating facilities. Bringing together existing health services, it involved over 1,800 consultations in the planning, design and early works stages to ensure it meets the needs of patients and clinical staff.